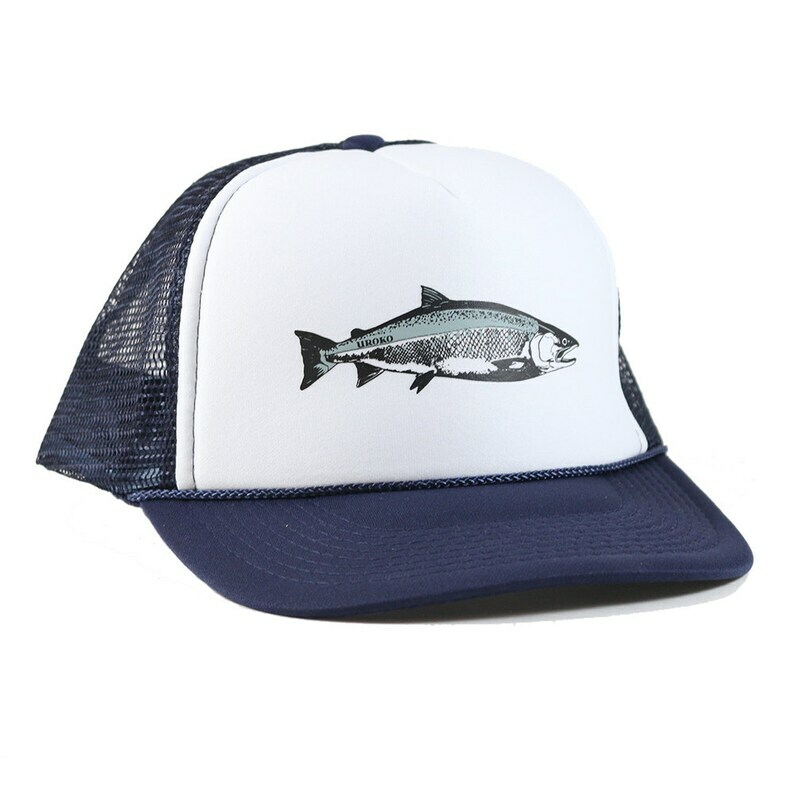 We took the Coho drawing that has done so well on the T-shirt and put it on a hat that you can fish in. This good luck charm can handle the fish guts while protecting you from the sun. At this price point, you won't feel bad if it gets stinky ... not that that is a bad thing. Navy mesh hat with white foam front. You will catch more fish with this hat ... at least it will give you hope. Great designs, great people. If you love the ocean, you will love these tees.